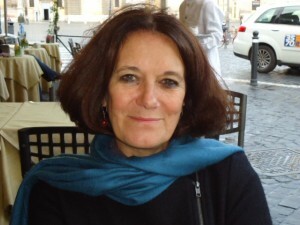 Anna Nadotti has translated my books and articles into Italian since 1988 (‘The Shadow Lines’ was the first). She is a marvelous translator , one of those of whom it might be said, as Garcia Marquez said of Gregory Rabassa, that far from losing in translation the original gains something as it passes through their hands. takes its name from the Piccolomini palace, overlooking the square. 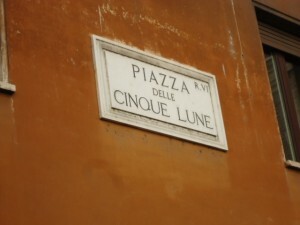 The family’s blazon is made of five waxing moons.’ The Piccolomini family produced two Popes; one of their ancestors figured in Webster’s ‘Duchess of Malfi’ and another was Galileo’s patron. Anna also translates Anita Desai, A.S.Byatt and Mahasweta Devi.